The Divinity School at Yale University was built in 1932 by the New York based architecture firm of Delano and Aldrich. 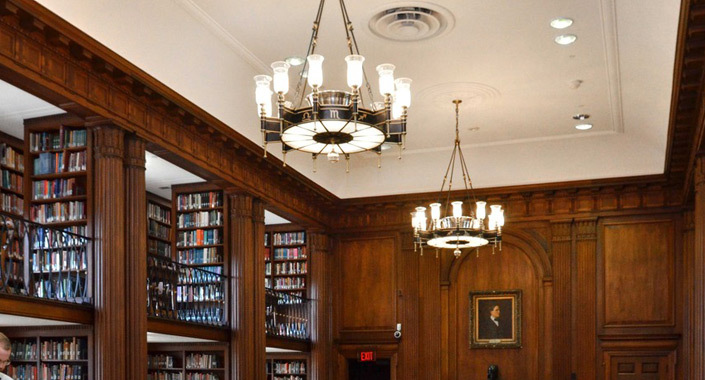 The campus includes the Marquand Chapel, the Day Missions Library, the Trowbridge Reference Library, a refectory, common room, dormitories, common room and class rooms. 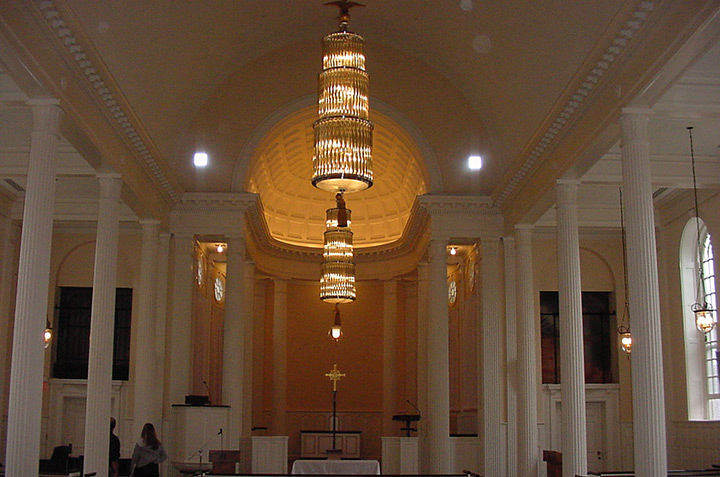 The buildings were constructed with handmade water stuck brick, and designed in a sophisticated Georgian Colonial style, which Delano and Aldrich were renowned for. 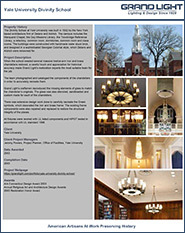 When the school needed several massive twelve-arm iron and brass chandeliers restored, a careful touch and appreciation for historical accuracy made Grand Light’s restoration experts the most suitable team for the job. 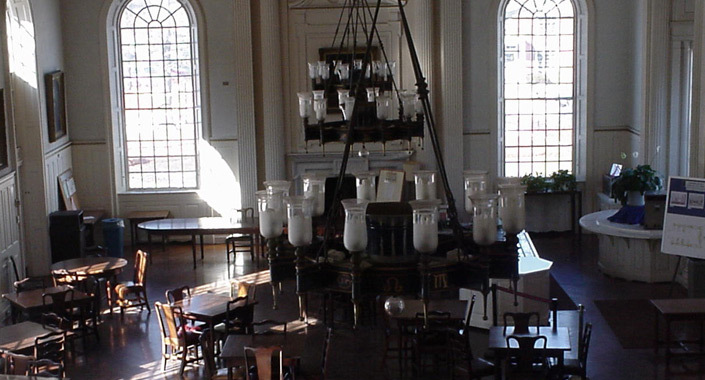 The team photographed and cataloged the components of the chandeliers in order to accurately recreate them. 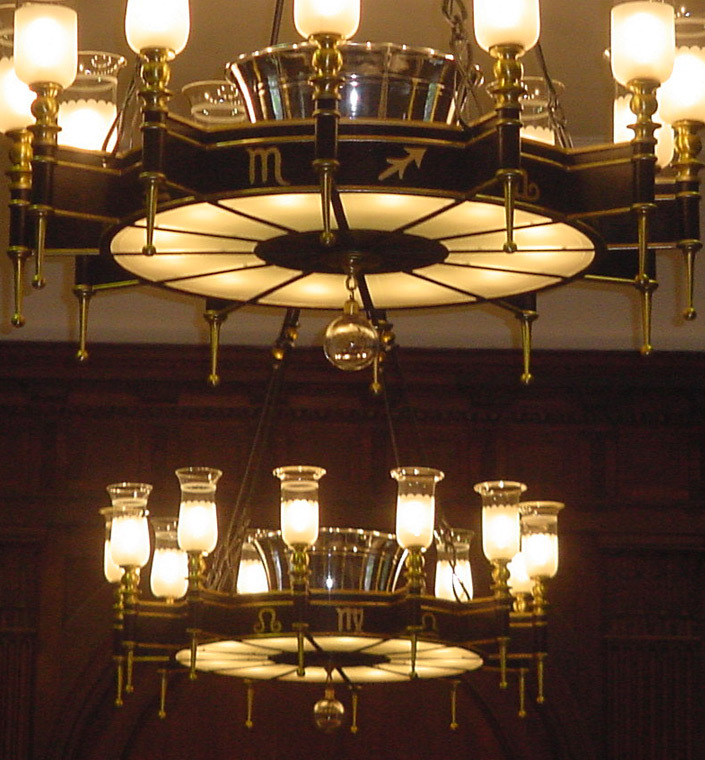 Grand Light’s craftsmen reproduced the missing elements of glass to match the chandelier’s originals. 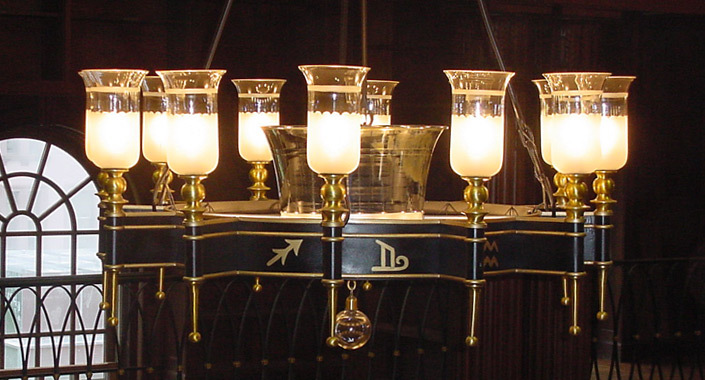 The glass was also stenciled, sandblasted and custom made for each of the chandeliers. 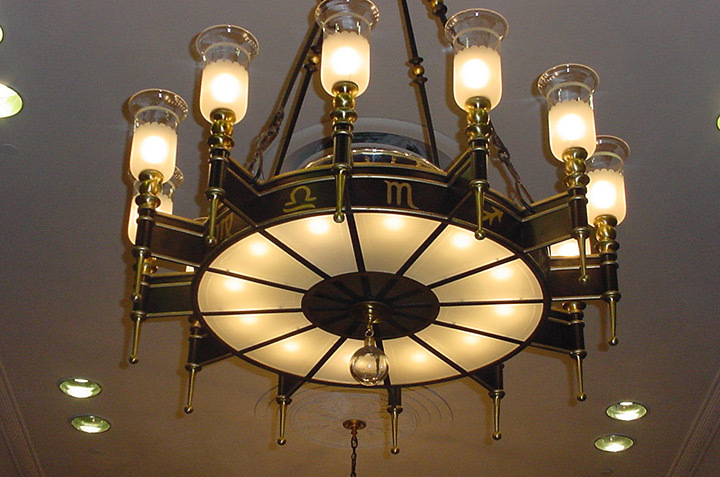 There was extensive design work done to carefully recreate the Greek symbols, which decorated the iron and brass frame. 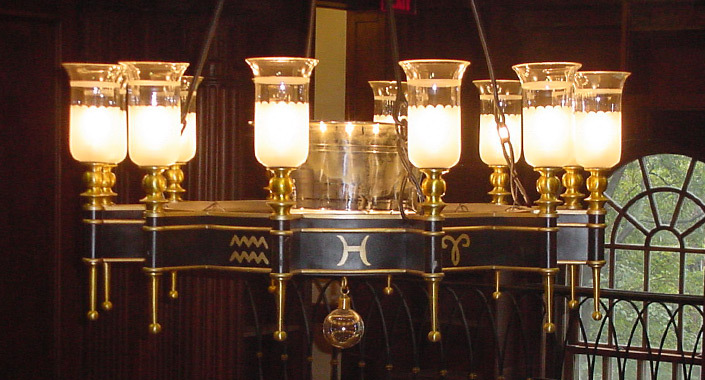 The existing frame components were also repaired and replaced to restore the structural integrity of the pieces. In order to ensure safety and reliability, the team also assembled and wired the fixtures with UL recognized and approved components.